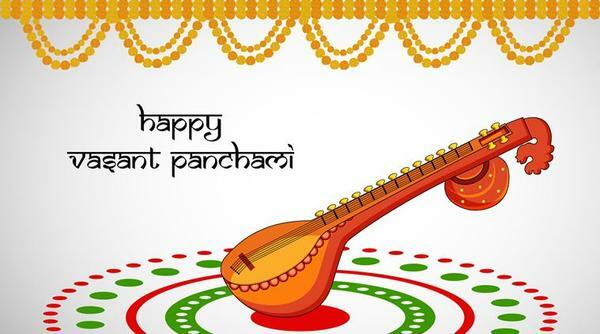 Basant Panchami is a Hindu festival rejoicing Saraswati, the goddess of knowledge, music and art. It is notable every year on the fifth day of the Indian month (January-February), the first day of spring. The significance of Basant Panchami is to invoke wisdom and realization in human beings. This festival is celebrated in Nepal, India and Bangladesh. Spring is called the king of all seasons as it offers a breather from harsh winters. The gentle breeze across the prospering landscapes and clear skies are here only for a limited number of months, which is why one must make most of it. In several places of India, the celebrations of Basant Panchami revolve mostly around the worship of Goddess Saraswati. Goddess Saraswati is the Goddess of wisdom, which is why toddlers learn to scrawl their first letters on this auspicious day. Teenagers place their books along the feet of the deity to seek her blessings for all year around. Like all festivals, in western parts of India, people fly kites during the morning and dress up in vibrant clothes and relish toothsome. Here's wishing all of you a very Happy Basant Panchami and Saraswati Puja 2019. What Color Should You Wear On Each Day Of Navratra? Happy Vasant Panchami and Saraswati Puja!